For the second time in a row, Mercedes Benz Fashion Week Mexico (MBFWMx) and Four Seasons Hotel Mexico City will join forces to support and promote Latin America’s fashion and creativity. 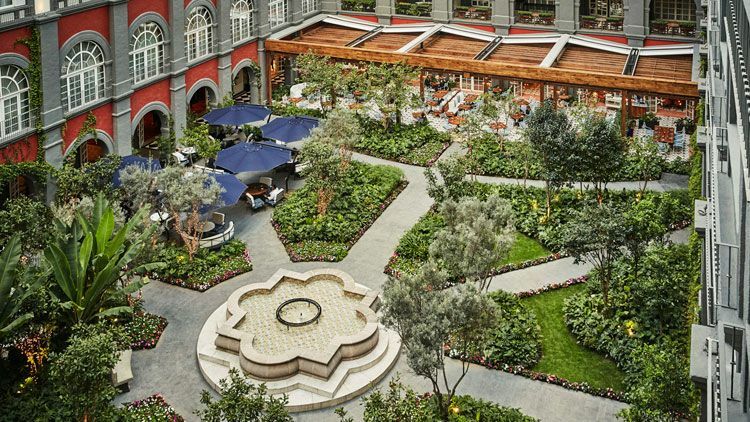 The celebrated Fifty Mils bar and the Hotel’s garden will become the venues to host the Fall/Winter 2019 collections of four designers. It will be a way to promote Mexican design, which has broken through among other countries thanks to this event, and also a way to celebrate a special milestone for Four Seasons Hotel Mexico City. “This year is the Hotel’s 25th anniversary, and it is more relevant than ever. That’s why being part of this celebration of fashion in Mexico made perfect sense for us. We’ll be hosting three runways in the garden and one in our award-winning bar Fifty Mils. We chose those spaces because they do not need any intervention at all. In fact, I see them as a perfect runway where hundreds of visitors walk every day,” says Israel Lara, Public Relations Director.